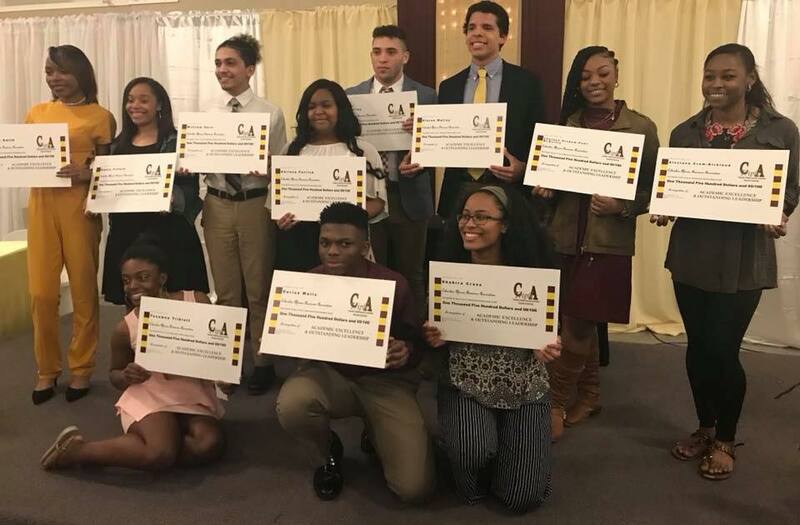 Columbia African American Association is committed to excellence, integrity, and service before self, awarding 50 scholarships to Columbia high school students totaling $68,500 since 2009, providing higher learning opportunities and helping improve the lives of minority students. CAAA is committed to the development of America's youth, specifically targeting African American students living in the Columbia, Missouri area. Donations from the 2017 CoMoGives campaign helped CAAA provide 12 scholarships for $18,000. We assist the community with developing young adults into responsible citizens and leaders. We are an all-volunteer, self-supporting, organization relying on private donations. Volunteers and in-kind donations are always welcome to help with our signature event, "Sunday Best." Columbia African American Association Memorial Scholarship - CAAA shared a post. On Saturday, March 9th, we will celebrate the Columbia African American Association Memorial Scholarship Fund's 10th anniversary at our annual Columbia's Sunday Best Scholarship and Lifetime Achievement Award Ceremony. We are awarding academic scholarships to five Columbia, Missouri graduating high school seniors. In addition we are conducting an on-line auction to raise scholarship funds. 1. Visit the CAAA Facebook page or the CAAA webpage (columbiaafricanamericanassociation.com) for items available for bidding according to item number. 2.Place at least the minimum bid on the item(s) using item number and send bid amount and full name to wgbuckner@aol.com or text to: 816.507.7559. 4. All bidding for on-line items will conclude at 7:00 PM, Saturday, March 9, 2019. 5. The person with the highest bid for each item will be announced Saturday, March 9, 2019 at the Columbia's Sunday Best. CAAA social media pages will be updated with the winning bid amount. 6. Items not picked up at Columbia's Sunday Best program will be mailed at the winner's expense. 7. CAAA will accept credit card payments before items are claimed. The winning bid for item 1, $450. Winning bid for item 2, $100. So sorry I can’t make it, but praying a blessed day in the Lord, and congratulations to all the Class of 2019 scholarship recipients and parents! The best is yet to come!! CAAA committee... you guys rock!! Looks like this is the end...But you still have until midnight to get your application in ELECTRONICALLY for the 2019 CAAA Memorial Scholarship. Applications are available in guidance offices of Columbia (Mo.) high schools AND online at columbiaafricanamericanassociation.com/. Just ONE day remains to get your application in ELECTRONICALLY for the 2019 CAAA Memorial Scholarship. Applications are available in guidance offices of Columbia (Mo.) high schools AND online at columbiaafricanamericanassociation.com/.